Aspiring to make a mark in the world of style, here is the attire to breath life into your aspirations. 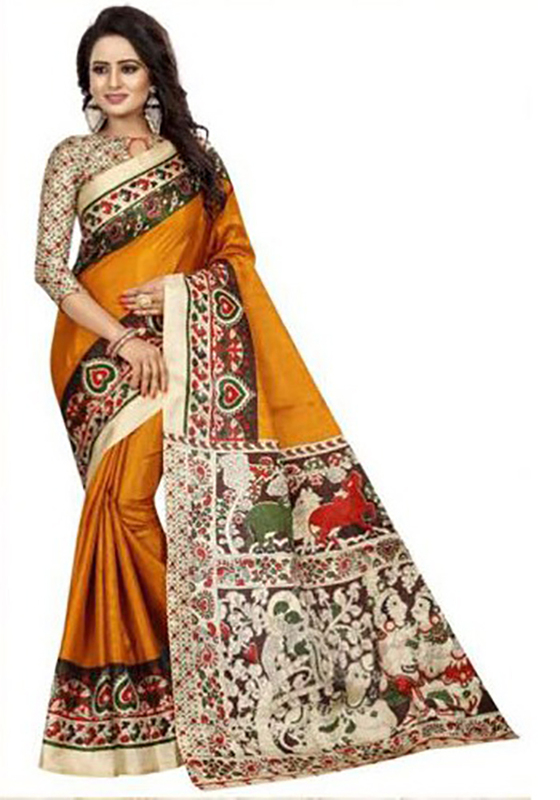 Add a vibrant burst of shade with your wardrobe with this sari. This sarees is made from heavy bhagalpuri soft khadi silk fabric which is highlighted with beautiful kalamkari printed pallu & border. These sadi are comfortable to wear and care. Paired with matching fabric blouse piece. You can wear these saari for casual outings, office, regular social meets and other homely events. Pair it with traditionally stylish accessories to complete the look.This trendy saareemeasures 5.5 m and comes with a 0.80 m blouse piece.